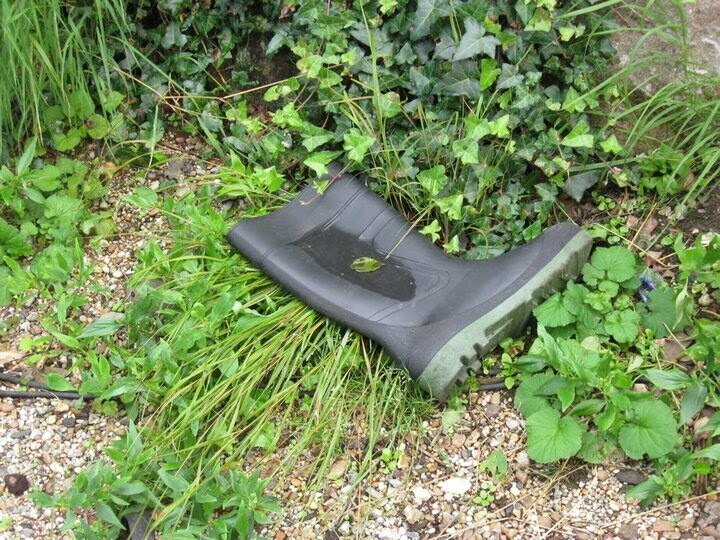 Abandoned wellie (Wellington boot), complete with puddle. One wonders at the visual of a person hopping home with one soggy socked foot! Some poor soul obviously went paddling in the sea and came off worse for wear. 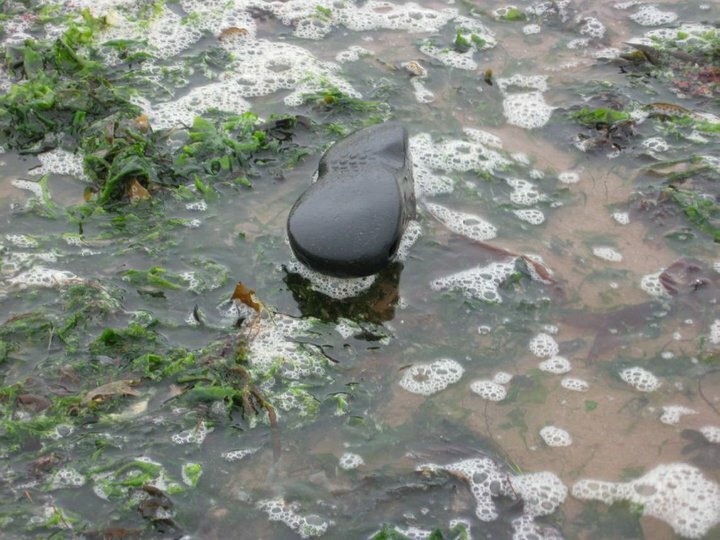 Upturned shoe washed over by the sea, entangled in seaweed. Thank you Kathryn! Let’s hope lots more people start to send me more pictures for this blog.